Ahani, H., Jalilvand, H. (2013). Providing a essay about: study on the spatial pattern of biodiversity caused by implementing agroforestry methods. International Journal of Advanced Biological and Biomedical Research, 1(1), 79-85. Hamid Ahani; Hamid Jalilvand. "Providing a essay about: study on the spatial pattern of biodiversity caused by implementing agroforestry methods". 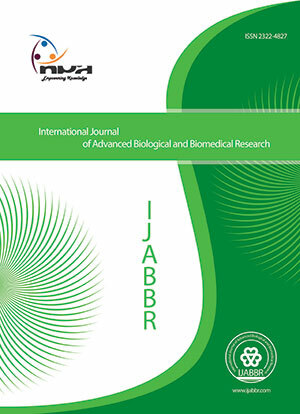 International Journal of Advanced Biological and Biomedical Research, 1, 1, 2013, 79-85. Ahani, H., Jalilvand, H. (2013). 'Providing a essay about: study on the spatial pattern of biodiversity caused by implementing agroforestry methods', International Journal of Advanced Biological and Biomedical Research, 1(1), pp. 79-85. Ahani, H., Jalilvand, H. Providing a essay about: study on the spatial pattern of biodiversity caused by implementing agroforestry methods. International Journal of Advanced Biological and Biomedical Research, 2013; 1(1): 79-85. Forests are biologically diverse systems, representing some of the richest biological areas on Earth. They offer a variety of habitats for plants, animals and micro-organisms. However, forest biodiversity is increasingly threatened as a result of deforestation, fragmentation, climate change and other stressors. Biodiversity is the variation of life forms within a given ecosystem, biome, or on the entire Earth. Hypothesis of this paper is method of investigation in agro biodiversity for conservation biodiversity beside economic products. Biodiversity is often used as a measure of the health of biological systems. The biodiversity found on Earth today consists of many millions of distinct biological species. The year 2010 has been declared as the International Year of Biodiversity. Biodiversity is not distributed evenly on Earth, but is consistently rich in the tropics and in specific localized regions such as the Cape Floristic Province; it is less rich in Polar Regions where fewer species are found. Research on biodiversity has been investigated in the species diversity level. The objective of these researches was to study of every plant dispersion spatially woody plants and biodiversity of associated woody species in forests. In addition, type of woody species identified and is documented. Shannon-Wiener ̓s and Simpson ̓s diversity indices are used for evaluating of woody species diversity; also, evenness and richness indices will be calculated. For detecting relationships between diversity indices with richness and evenness, correlation of Simpson s index with its evenness and etc must be analysed. D is Simpson ̓s index and N2 is N2HILL that is applied for very abundant species. H is Shannon-Wiener ̓s index and N1 is McArthur is applied for abundant species. In order to provide a research we can apply every index of biodiversity and spatial pattern formulas to appraisal diversity in agroforestry and other methods such as agro sylvo pasture, aqua forestry and wood culture. In developing countries agroforestry compilation and match of culture in farming must be side conservation on biodiversity. Condit R.,Pitman N., Leigh E. G., Chave J., Terborgh J., Foster R.B., Núñez P., Aguilar S., Valencia R., Villa G., Muller-Landau H.C., Losos E., Hubbell S.P., 2010. Beta Diversity in Tropical Forest Trees. Italy. Franco D., Francob D., Manninoa I., Zanettob G., 2002.The impact of agroforestry networks on scenic beauty estimation: The role of a landscape ecological network on a socio-cultural process. Pourbabaei, H & Ahani, H, 2003. Biodiversity of woody species in Acer platanoides L. sites in in the Shafaroud forests, Guilan. ISI Journal of Rostaniha, vol 18, 2. Fifth year. Ravindranath, N.H., Somashekar B.S., Gadgil M.,1997. Carbon flow in Indian forests. Submitted to the Ministry of Environment and Forest. ScienceDaily, 2010. National Science Foundation Forest Tree Species Diversity Depends on Individual Variation. Shah, A., 2010. Biodiversity, http://www.globalissues.org issue/169/biodiversity. Site CBD, 2010. http://www.cbd.int/ convention on biodiversity. World Bank, 2010 .Environment matters 2009: banking on biodiversity.